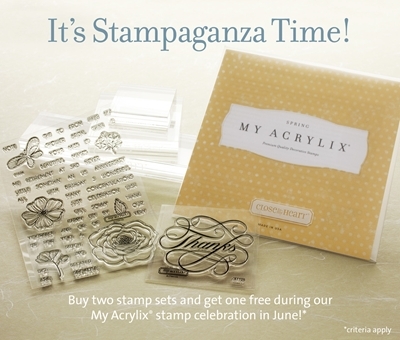 Celebrate Crafts: It's Stamaganza time!!! What qualify's do you ask? Purchase any two stamp sets (sizes A, B, C, D, or E) at full retail price and receive a third stamp set of your choice FREE (of equal or lesser value)—a savings of up to $29.95! your right to get your's today!